A lack of disability-friendly properties is becoming a serious issue in the UK – in fact, a 2018 report from the European Court of Human Rights labelled it ‘Britain’s Hidden Crisis’. According to the same report, 93% of our properties lack minimal accessibility features, and as numbers of people with disabilities rise, many are living in properties which simply aren’t adequate for their needs. Developers aren’t making enough new-build properties accessible because they say it’s harder to make a profit on them, while many disabled people say that their private landlords won’t allow basic adaptations to their homes. It’s not all bad news, though. London in particular is making decent progress on the issue, and people in areas where there’s more accessible housing are seeing real benefits. Research has found that their physical and mental health is better, their risk of accidents is greatly reduced, and they have greater independence – including being four times more likely to be in employment. So how can you as a landlord help the situation? The Equality Act 2010 makes it illegal for you to discriminate against people with a variety of protected characteristics, including those with disabilities. This means you can’t refuse to rent your property to a disabled person, even if it’s going to mean more work for you. You also can’t charge them more to rent the property, or do things like taking a larger deposit or insisting on a shorter break clause than you would for a tenant without disabilities. The law also says you need to make reasonable adjustments to help tenants with disabilities, and this might include installing physical things to help them live more comfortably in the property, or adapting your tenancy agreement and paperwork for their needs. Any adaptations a disabled person will need are likely to be highly individual, and features that will suit people with some disabilities won’t be suitable for others. For this reason, if you’re making small adjustments to your property, you’re best off liaising directly with the tenant or their family/support worker to find out exactly what they need. The law doesn’t require you to second-guess what your tenant might need, and you don’t have to make any adaptations unless the tenant asks for them. Of course, making your property fully accessible for some disabilities – wheelchair users, for example – might involve fundamentally altering the structure of the place. If you go down this route, you’ll most likely be aiming to rent specifically to disabled people, and work might include lowering worktops and switches, widening doorways, ensuring level access and providing wet-room shower facilities. While some landlords will be happy to make major alterations to their properties to accommodate people with disabilities, others will be understandably reluctant to make expensive structural changes that might then be very difficult and costly to undo at the end of the tenancy. For this reason, the law distinguishes between auxiliary aids and physical features. While you’re legally required to provide the former, you don’t have to remove or alter physical features of the property. You and your tenant might not always agree on what constitutes an auxiliary aid or a physical feature, but Schedule 4 of the Equality Act does give a bit of clarity on some alterations. Things like door handles, toilet seats, taps and entryphone systems are all counted as temporary adaptations that you’re required to make. It’s also reasonable to ask you to repaint something in a different colour (to make it easier to see), to replace any signs or notices with ones the tenant can read, and to remove or replace unsuitable furniture. Wheelchair ramps, too, are usually easily installed and don’t affect the structure of the building. When it comes to stuff like installing grab rails, the law is less clear, and much of it relies on the interpretation of what constitutes a ‘reasonable’ adjustment, but if it’s relatively inexpensive and can be undone at the end of the tenancy without having a permanent effect on the property then it’s usual to allow it. If a tenant wants to make more substantial changes – like installing a stairlift or even a ground-floor bathroom – you can’t withhold permission unreasonably. That doesn’t mean you definitely have to say yes, but you’ll have to consider lots of factors including the cost, the permanent effect on the property, the length of the tenancy, and the extent to which the adaptation will improve your tenant’s standard of living. You may also need to make some amendments to your tenancy agreement and other paperwork. You certainly can’t introduce any extra clauses aimed specifically at people with disabilities, and you may have to remove certain rules to be fair to your disabled tenant. For example, while you’re entirely within your rights to stop most tenants keeping pets if you don’t want them to, it’s discriminatory not to allow a visually impaired or otherwise disabled person to keep a guide or assistance dog. It may also be appropriate to make an exception to any parking rules you have in place. You’ll also need to make sure your tenant can read and understand the contract and any other correspondence you send out. This might mean using large print or braille, or even giving the tenant an audio copy of the contract. If there are communal areas like laundry rooms, gardens and entry hallways, then the landlord’s duty to make reasonable adaptations extends to these too. In these situations, landlords with leasehold properties may not actually own the areas in question, but it’s important to liaise with your freeholder to make sure any reasonable adjustments are made. 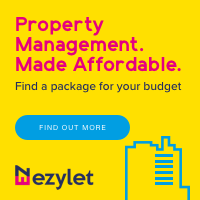 The main instance in which you don’t have to adapt your property is if it’s your main home, or if you share substantial facilities with the tenant. This is also the case if you’re just renting it out on a temporary basis (for example while you’re working abroad).